Avon’s fading beauty is in the eyes of two different financial beholders. The struggling makeup company has come under fire from an aggressive investor and may call on a buyout shop for help. The growing role of private equity firms as white knights against activists suggests the targets aren’t the only ones with troubles. It has been a swift decline for Avon Products, the 130-year-old U.S. icon of door-to-door perfume sales. After snubbing an $11 billion bid from rival Coty some three years ago, the company’s sales and shares have tumbled, leaving it worth just $1.8 billion now. 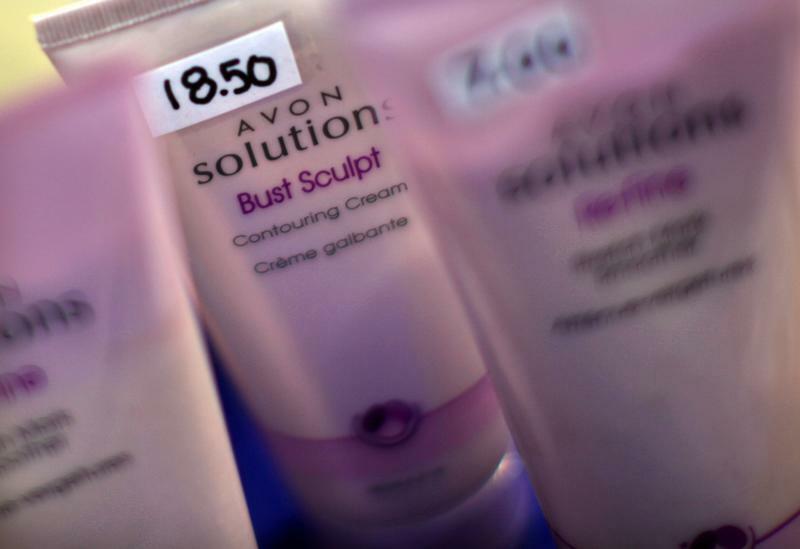 Hedge fund Barington Capital sees value in Avon, but only with a new board and management willing to slash costs and reinvest in its global brand. The current boss, Sheri McCoy, has other ideas. Avon is in talks to sell its North American business to Cerberus, which would simultaneously make a minority investment in the public company’s capital. That’s an increasingly popular playbook for companies under siege. In August, $12.5 billion walkie-talkie maker Motorola Solutions where Jeff Ubben’s ValueAct is both an investor and director, turned to Silver Lake for assistance. The private equity firm invested $1 billion in the form of convertible bonds that pay 2 percent, which helped Motorola buy back its stock. Silver Lake also put two managing partners on Motorola’s board. NCR pulled the same trick a couple of months later. A busted sale process led to Blackstone pumping $820 million into the $4.5 billion cash-machine maker using a preferred security that carries a 5.5 percent dividend, payable in kind for the first four years. The deal, which also partly paid for a share repurchase, led to the resignation of one activist, Richard McGuire’s Marcato Capital, from NCR’s board and raised concerns from another of its pushy investors, Peter Schoenfeld. While these private investments in public equities, so-called PIPEs, may come with some attractive terms, they undermine a primary objective of the buyout business model. Taking control and restructuring companies away from the uncomfortable glare of public markets has been a winning strategy. With so much dry powder stockpiled, however, private equity firms are getting more creative. The danger is that too much of this lipstick gets applied to a variety of pigs. Avon Products said on Dec. 4 it welcomed feedback from shareholders such as Barington Capital, which a day earlier proposed a restructuring of the beauty products company and warned against the sale of its North American division to private equity firm Cerberus. In addition to buying the Avon unit, Cerberus would take an equity stake in Avon, Reuters reported on Dec. 3, citing unnamed people familiar with the matter.